Yes, I totally agree about the college sports. Same thing with football. I didn't watch it for the game, but for the halftime show. lol I so have to learn how to do some of these photo programs to make my pics look cool. Love what you did with yours. Have a great weekend & hope to see you on Monday! I am not into college sports but I agree, the show is not necessarily the game. Your photos are great once again and congrats on being featured again this week. :) Hi Woody, you could be trouble with some of your readers today. Well, some sports aren't too exciting in themselves, but really I go for the sport/game. Mrs. Jim watches half time and enjoys that better than soccer. But American football, American baseball, basket ball, and track she likes the sport better than the half time. They most certainly are! Great photo of an awesome day! I like college ball more than any pro sport. These are great shots. I do love me some college sports! 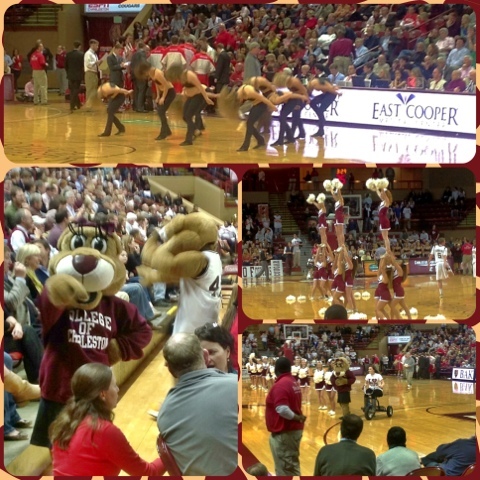 The colors, the excitement, the MASCOTS - - - it's all college sports good. Yay! Way to build school spirit. Basketball was always my favorite sport to watch when I was in school. Love the spirit and fun!